One of the great things about this man's work is that each story is a stand alone gem which, when combined with the others, builds a whole amazing world complete with people (human or not) so real that you feel like you know them., This one fits right in. I'm sitting here pondering the evolution of an imaginary world for goodness sake..But weirdly, it's like letters from home. Add to that humor that may be pointed but is never mean. Beautiful ending to a phenomenal world. Beautiful ending to a world I will always love. Well done & RIP Sir Terry Pratchett. Because of major spoilers I cannot write the review I want to write. This is Tiffany's book, she is a magnificent young woman who has the support of all the witches we have come to know and love (and ok, fear). It gives those of us who love all the Witches of Lancre a chance to meet them again, if only for a little while. Like all of Terry Pratchett books, this one has an underdog. Like all of Terry Pratchett books the main characters flatly refuse to be overwhelmed ,even for a moment, by circumstances no matter how alarming they are. Ok, they may do a lot of going off in odd directions, and trying tons of things before they get to the place they want to be, but they do not give up, give in, or even think about quitting. There may be tears, just this once, but even tears are part of the solution, not the problem. In Tiffany Aching's last book but this one, I Shall Wear Midnight, we may have thought she had at last come of age. But like the most grown-up of us she still has the most difficult of lessons to learn. The least of these lessons is that she cannot do it all. It can be arrogant not to ask for help when it is needed, rather than an admission of weakness. It is also respectful to the person who is taking on a task that is important, to allow them to help. And like all grown-ups no matter how young she must handle the most difficult of lessons all by herself. Terry Pratchett's last book is as clear eyed and straight forward as all of his books from the ones he wrote when he was just out of childhood to the sophisticated Small Gods and Night Watch. The character Death does not appear in this book. But then he is not needed to help persons find their way to what comes next. After all this is a book of the Witches, and they do not not need Help, they are always in control. Nope they have this just as the fairy Godmother Witch had it in Witches Abroad. 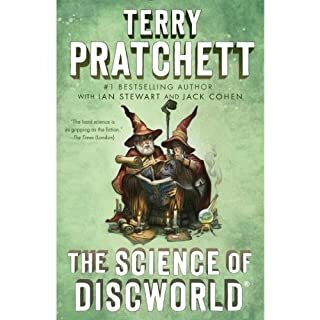 Like most people who love Terry Pratchett and all his works, I found it almost painful to begin his last book. I've met so many people I would not have gotten to know if we had not shared the Discworld. Its quirky, wise, and cranky characters have become like mutual friends. All blessings and thanks to Sir Terry and to his family. Oh, the joy and wonder in my heart,,, a timeless gift. 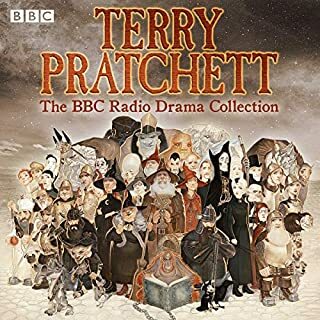 I'm sad to know this is the end of such an amazing and life changing series, but I am happy that Sir Terry's final work went out on such a high note. 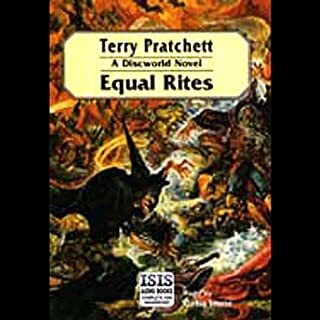 Definitely a worthy conclusion for the discworld. Goodby Terry! - Thank you for sharing! 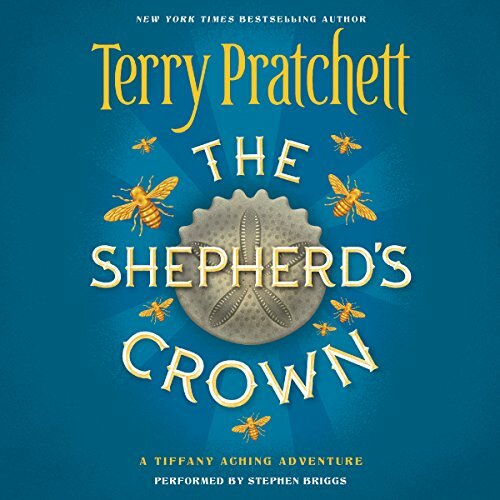 Where does The Shepherd's Crown rank among all the audiobooks you’ve listened to so far? Near the top - and a good ending to a wonderful writing life. ALL OF THEM! - If I must pick would be Tif. Been tried many times and can't touch the way it is written. Thank you for all you write - you will be missed. 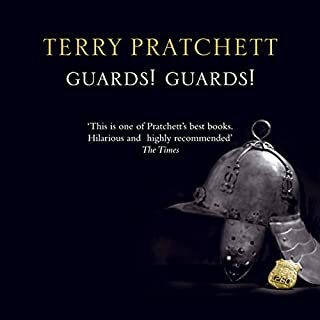 So sad there will be no more Terry Pratchett tales, but thank goodness we listen to them time and again without tiring of them. 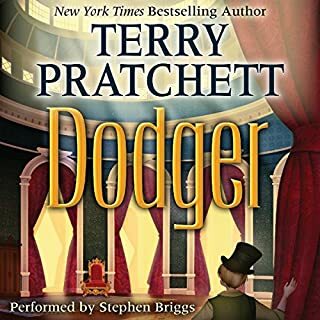 They can pull the curtains down on Sir Terry's brilliant mind and, yes, eventually close his Book Of Days, but with this final work he takes hold and slams the lid down with a resounding thumping bang. All down the decades that I've whiled away with his stories I've closed the covers on the latest masterpiece, wondering to myself, "How can he make each book more hilariously entertaining and insightful than the last?" Good night, Sir Terry Pratchett, and thank you for enriching my life. Scrivvens , what a Scrivener! Terry wraps up the Tiffany Aachen series in the last wonderful book, published after his death. There are cameos of all the famous cat of characters from across his Discworld. Like Granny Weatherwax, we will miss him. What can I say, without giving it all away. As amazing as you've come to expect, and more healing and closure than you could hope for. This is the longest time I ever took to finish a book. 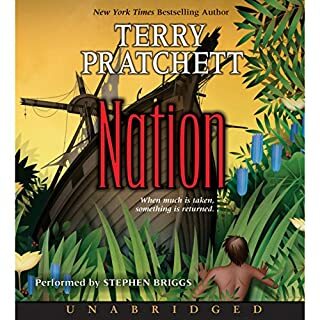 Every time I started reading, I knew it was all I was ever going to get from Sir Terry. There was no more Discworld. I would never know what happened to Angus and Carrot. Did Tiffany marry Preston. I was so overwhelmed by the sadness. Now, I have finished his last book.